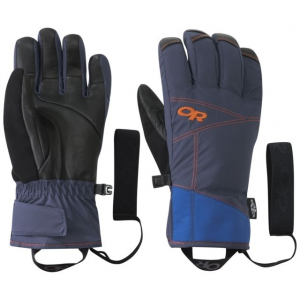 You hike for your turns, but you can't deny your geeky nature that loves up-to-the-minute avalanche reports on your tech gadgets, so you wear the Outdoor Research Northback Sensor Glove, with TouchTex leather that works with touch screens. 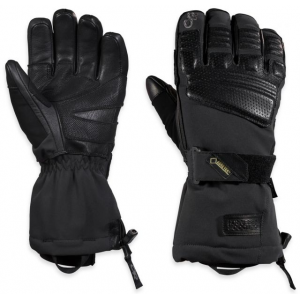 This backcountry glove features a Gore-Tex waterproof, breathable insert and EnduraLoft cozy insulation in addition to the supple and durable TouchTec goat leather palm and fingers. 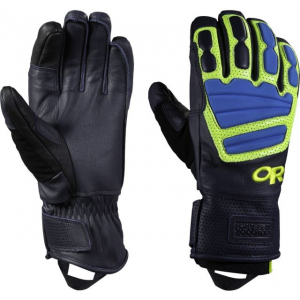 A Ladder-Lock wrist cinch and removable Idiot cord seal out elements and keep glove secure when you have other things on your mind. Precurved construction adds to comfortable mobility, and a nose wipe always comes in handy. CLOSEOUTS . 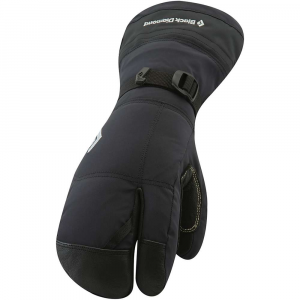 Waterproof breathable and touch-screen compatible, Outdoor Research Northback Sensor gloves are a warm choice for resort skiing and cold weather use. Available Colors: BLACK/HYDRO. Sizes: XS, S, M, L, XL. Free Shipping. Outdoor Research Northback Sensor Gloves FEATURES of the Outdoor Research Northback Sensor Gloves Durable Waterproof Breathable Wicking Windproof Touch -Screen Compatible Soft and Tactile Leather Palm Ladder-Lock Wrist Cinch Removable Idiot Cord Nose Wipe on Thumb Pull Loop Pre-curved Construction SPECIFICATIONS of the Outdoor Research Northback Sensor Gloves Weight: L, per pair: 7.9 oz / 223 g Comfort Range: -20/10deg F / -29/-12deg C 100% nylon oxford shell Gore-Tex insert 100% nylon back of band Enduraloft Insulation TouchTec goat leather palm and fingers Foam panels back of hand Gore-Tex Fixed Insulation Leather Palm Touchscreen This product can only be shipped within the United States. Please don't hate us. 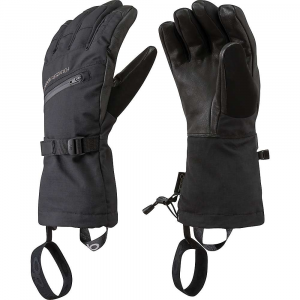 Our first GORE-TEX equipped touch-screen-sensitive gloves, the Northback Sensor Gloves takethe tremendous versatility of one of our favorite gloves and adds TouchTec leather, allowing you to operate touch-screen devices without exposing your hands to the elements. 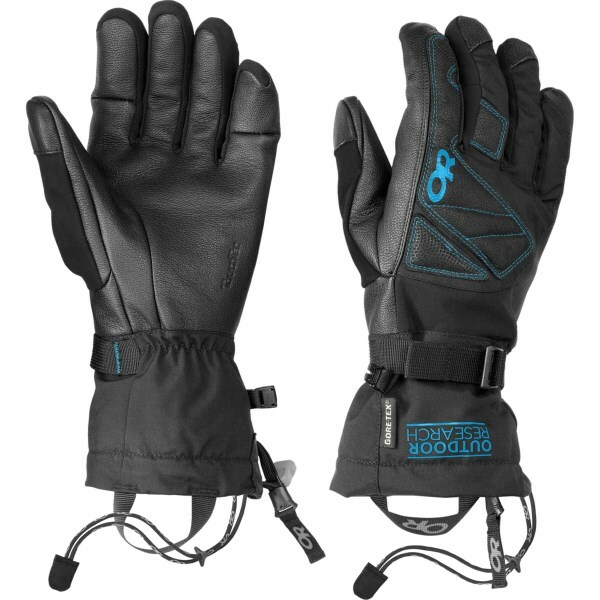 Waterproof, breathable and warm -- thanks to EnduraLoft synthetic insulation -- the Northback Sensor Gloves are a great option for gadget-toting skiers and snowboarders.This product will be shipped directly from Outdoor Research and will leave their warehouse in 2-3 business days. Eligible for UPS ground shipping only. 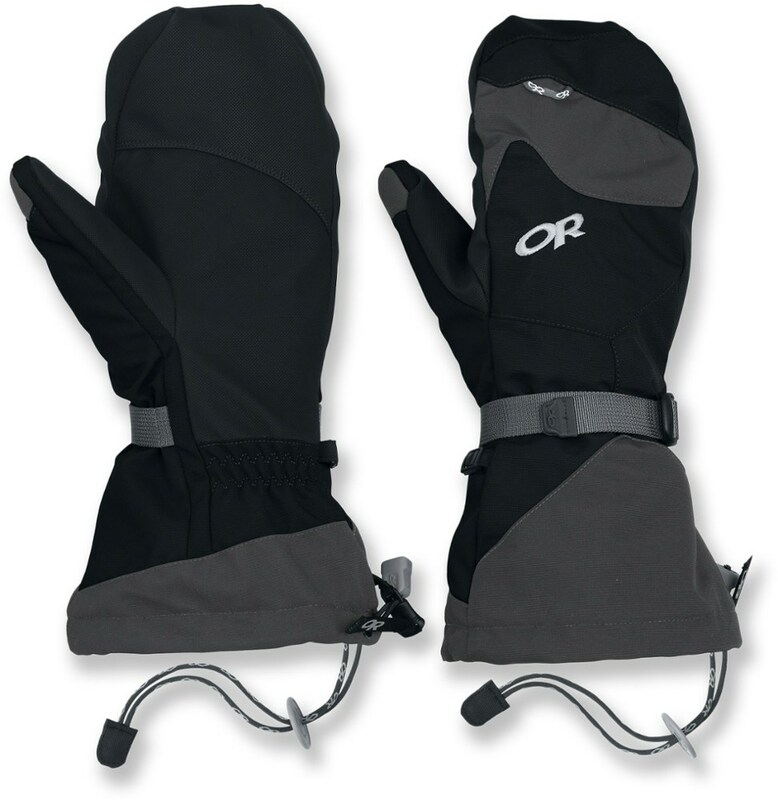 The Outdoor Research Northback Sensor Gloves is not available from the stores we monitor. It was last seen January 9, 2018	at Backcountry.com.